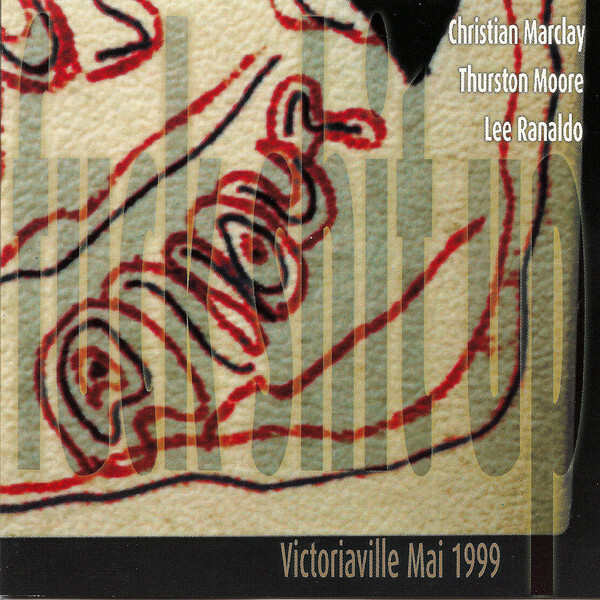 Recorded at the 16th Festival International de Musique Actuelle de Victoriaville, 24th May 1999, this classic performance finds turntablist legend Christian Marclay collaborating with Sonic Youthers Thurston Moore and Lee Ranaldo, who between them wrangle amplified guitars and other noise-making objects/contraptions. While Marclay's extreme vinyl exploits range from conventional surface manipulation to smashing his source records up (and reportedly throwing them out into the crowd now and then), the usage of guitars from Moore and Ranaldo proves to be wily and inventive throughout, embracing texture and subtle tonal experimentation. At times it all sounds like Philp Jeck getting caught up at the end of a Who concert. Ace.